About 66 million years ago, a 6-mile-wide asteroid slammed into Chicxulub, now a gaping crater near the same-named city on Mexico’s Yucatan Peninsula. In the aftermath of the nuclear winter-like conditions that followed, about 75 percent of Earth’s species went extinct, including the whole family of dinosaurs (with the notable exception of birds’ ancestors). Two Japanese researchers argue, however, that had that asteroid fallen in some different spot on Earth, dinosaurs would have likely survived the ordeal. This tragic event has remained permanently etched in the planet’s geological history, through a band called the K-T Boundary, which separates the Cretaceous and Tertiary periods in geologic history. According to research published this week by British researchers at Imperial College London found the asteroid impact was even more devastating than previously thought. Their sophisticated model suggests that the asteroid slammed into the planet with the force of 40,000 US nuclear warheads, all triggered in a matter of seconds. The impact released about 325 gigatons of sulfur and 425 gigatons of carbon dioxide into the atmosphere, more than 10 times global human emissions of carbon dioxide in 2014. The huge cloud of sulfur that loomed over the planet’s surface blocked the sun, causing a dramatic cooling. Earth’s average surface air temperature dropped by as much as a staggering 26 degrees Celsius (47 degrees Fahrenheit). The sub-freezing temperatures persisted for over three years — enough to destroy plant life and everything else up the food web. All of this gloomy picture might have never happened had the asteroid fallen elsewhere on the planet, claim paleontologist Kunio Kaiho, of Tohoku University, and Naga Oshima, an atmospheric chemist at Japan’s Meteorological Research Institute. According to calculations made by the two, only 13 percent of Earth’s surface is made up of rocks that could have burned off that much soot. A staggering 1.7 billion tons of fine-particle black carbon were ejected into the atmosphere following the Chicxulub impact, the authors wrote in the journal Scientific Reports. Scientists reconstructed a map of areas around the world with a high probability of being rich in hydrocarbon-bearing sedimentary rocks at the end of the Cretaceous. For dinosaurs to be alive today, all that was required was for that cataclysmic asteroid to fall somewhere away from such area, in the rest of the 87 percent of the planet’s surface. Indeed, based on the maps, even a few hundred miles away would have sufficed. In other words, the Japanese scientists argue, the mass extinction event from 66 million years ago was of low probability. Unfortunately for dinosaurs (and fortunately for humans and their mammalian relatives), they drew the short straw. To be fair, it would still have been incredibly devastating for life on Earth even otherwise but not quite as rough as it was. It’s interesting to note the implications that this study has for life on Earth in the future. 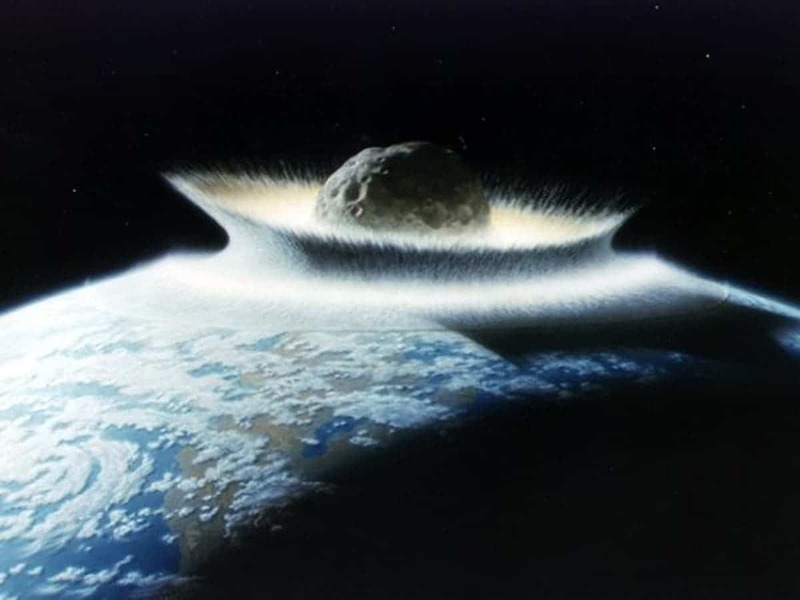 According to NASA’s Near Earth Object Program, there’s a significant risk Earth could be impacted by a killer asteroid. Scientists are busy tracking and mapping all the objects in the solar system and beyond that could one day enter a collision course with Earth. At the end of the day, we can sleep maybe a bit more soundly knowing that an asteroid is not likely to reach its maximum damaging potential — though history showed it sure could.